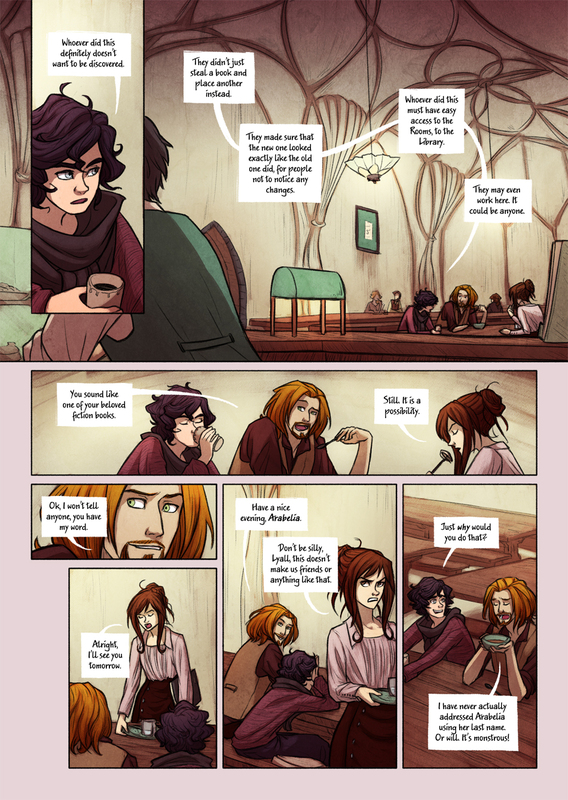 Aand that’s the end of Arabelia’s patience. Next page will start a new scene, and I can’t wait for that one! I have no further news for now, the support side comic is progressing but I can’t tell a particular date for its release yet. 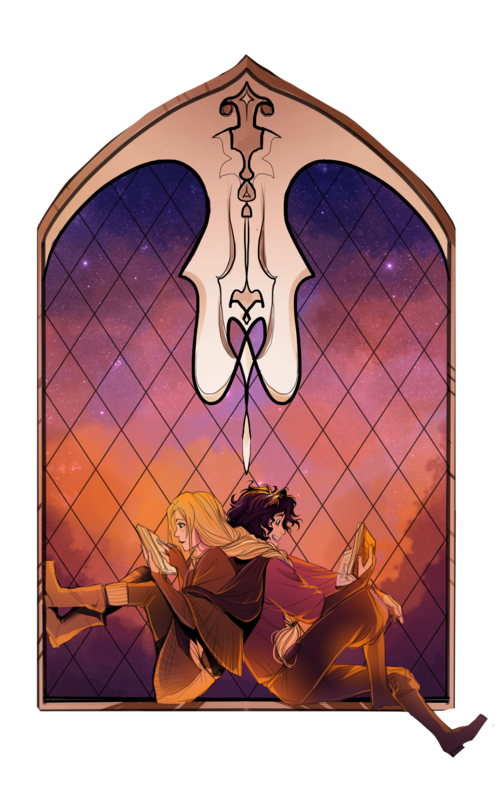 In the meantime, please look at this beautiful piece by the wonderful team at Liar’s Dice webcomic. Apparently they can’t decide if Suzzen and Rogier are their BROTP or OTP. I appreciate Dylion’s propensity for busting into a conversation and then acting like he has no interest in being there. He continues to be my spirit animal. Dylion just has ALL the chill. Is there a reason that Arabelia is always so high-strung and frustrated? Just her nature, or will we get a glimpse of what has shaped her to be that way? She is serious and hot-tempered by nature, but to be fair, she’s not usually THIS mad at everything. If you remember the first few pages when she was introduced, she wasn’t so cranky. It’s mainly the forged books issue that has really gotten to her.